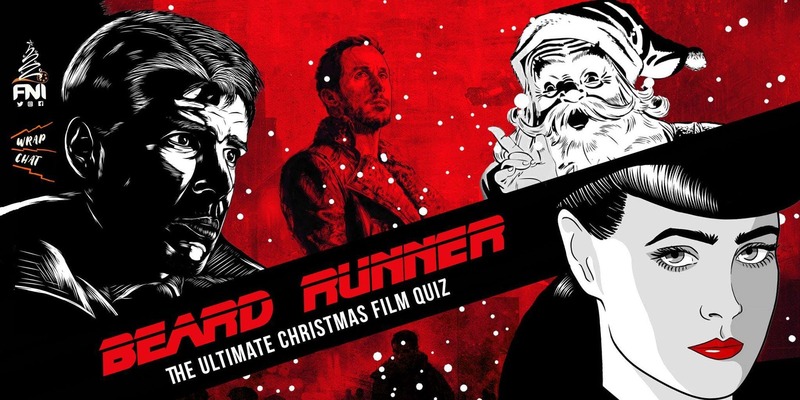 A great opportunity for film pros in Ireland to connect, Film Network Ireland is having the last of their Film networking events next week, a Christmas table quiz set to get to film pros scratching their heads as they get them together. FNI have been busy throughout 2018 with events, several seminars and more bringing the Irish Independent Film community together. We now run classes on a wide variety of topics and have so many ambitious inclusive plans for FNI’ers in 2019. Normally we at Film In Dublin wouldn’t be on board with breaking out the fairy lights and tinsel for Christmas while the Halloween pumpkins haven’t even rotted yet. But for the Light House Cinema’s Naughty or Nice season, we’re always willing to make an exception. An annual season of seasonal classics featuring all your comforting Christmas favourites, this festive programming is a Christmas tradition for cinema-goers in the fair city of film, a celebration for Light House regulars to mark the end of another great year of movies. This afternoon, the Light House announced the schedule for Naughty or Nice 2018 from Dec 1st to 23rd, and they’ve been good to us as ever. We at Film In Dublin love movie experiences of all kinds whether it’s heading along to the cinema for some classic programming, attending a film festival at the local library, chilling at home with the latest Netflix release or enjoying an open air cinema in one of Dublin’e beautiful parks. One of the more unique film-going experiences in Ireland, the Retro Drive-in has several classic film screenings for Halloween and Christmas announced as 2017 moves into its final stages. Usually aking place in Bray, technically the drive-would fall just outside the fair city of film where we like to confine our coverage, but sure look. Your car is in Dublin isn’t it? And this year, the Retro-Drive in has a new venue in Dublin for you to drive it on out to. If you want to see some classic films in an old-school way, check out the programme of the Retro Drive-in for the holidays ahead. What Are Your Alternate Christmas Classics? Christmas time is upon us now and for many (certainly for this website with the word ‘film’ in its title), Christmas is a time for movies. Whether that means catching Back to the Future halfway through on RTÉ for the seventeenth year in a row or popping in your Home Alone DVD to watch while you’re wrapping presents, everyone has their own traditions and favourites. For anyone looking for some suggestions for what to watch this Christmas, some of the Film In Dublin team have put together some personal picks for you, complete with clips (some of which are NSFW, just so you know). Christmas classics can vary greatly from person to person and we’d love to know some of our readers personal favourites, so feel free to let us know. Dublin’s top purrveyors (that’s the last one, promise) of ‘Midnight Movies’ – cinema best seen after dark with a few tall glasses of water – Hollywood Babylon have announced their selection for their Christmas Party showing. For anyone who’d like to see something other than Elf this Christmas, or something other than Elf five times this Christmas, they will be screening Batman Returns at the Light House Cinema. Bad Santa 2 opens with our lead character sticking his head in an oven, attempting to kill himself by way of ‘inert gas asphyxiation’. Set thirteen years after the original film Bad Santa, Willie Soke (played by the ever-watchable Billy Bob Thornton) is no longer enjoying the happy ending he seemingly achieved at the conclusion of the previous installment. His life has become a living nightmare of alcoholism, loneliness, despair and banal repetition. He sees fit to end it all lest he be subjected to any more of life’s countless tortures.